During my break I have been tidying up the sewing space. As I reviewed and sorted, three projects threw themselves in front of me and practically begged to be quilts. So, I have three piles of mostly pre-cut scraps that are going to be quilts. 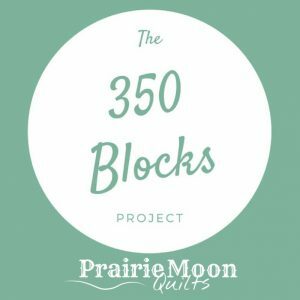 I even have backs for two of them already chosen: One Hundred Hugs baby quilt, and two from a new pattern I was fortunate to win from Prairie Moon Quilts called Charleston Pavement. Take a look! Hundred Hugs is in the TUTORIALS tab above, and you can get your own Charleston Pavement HERE as PRINT or PDF. It is a finished flimsy! YAY! And, because it is spring(ish), I was able to take pictures outside on our greening grass. No pattern or tutorial. I just used random sized squares and strips to make 8″ blocks, then added a 1″ strip of white to the two outsides. There are 85 blocks and the top is about 80″ square. Quilting tomorrow and binding Saturday and Sunday. Racing towards a finish. This week is Spring Break for me from school. While there are many things–house, yard, garden, errands, etc.–on the to-do list, quilting has a place, too. I am scheduled for quilting time on Thursday, which means I must finish assembly of this quilt before then. And quilting on Friday, too, maybe. We’ll see if that happens. And then a flurry of binding over the weekend as I enjoy General Conference and a lot of TV time. It keeps me focused and awake. A bag of pieces-parts came from somewhere. (I am embarrassed to say that I can’t remember.) They have been sitting around for way too long. So I dumped them out and started to sort. Hmm…what can I do with these? Still not sure what I am doing, but something is happening…better than having them stuffed in that sack.